Seeing a production as well-presented as this makes one wonder why Samuel Barber’s mixture of gothic melodrama and verismo isn’t staged more often – there’s certainly no faulting the dramaturgy, or the richness of his musical imagination, for all its nods to Puccini, Strauss and Britten. Theater Hagen has an honourable history of reviving American operas, with works by Bolcom and Floyd appearing in recent seasons. Here, Roman Hovenbitzer presents Vanessa as a psycho-thriller, one whose cinematic gloss and emphasis on obsession give it a Hitchcockian colour. As it’s not the best known of 20th-century operas, a brief resumé of the plot seems appropriate, as interpreted in Hagen. Vanessa, a silent film star, has put away her reels of film to avoid the pain of watching herself with her leading man, the Anatole who left her 20 years before and for whom she has been in constant vigil ever since. As the curtain opens, she is in a state of high excitement because she has had word that he is finally returning to her. But the man who arrives turns out to be Anatole’s son, also called Anatole, and he immediately proceeds to seduce Vanessa’s niece, Erika. Vanessa’s mother, the mysterious Baroness, has refused to speak to her daughter or to the ever-present family doctor for those 20 years. The implication, though nothing is stated that openly in Gian Carlo Menotti’s libretto, is that Erika is in fact Vanessa’s daughter by the elder Anatole and the doctor was complicit in allowing the birth to go ahead. When Erika becomes pregnant by Anatole’s son, therefore, her eagerness to abort the baby and spurning of his marriage proposal suggests the Baroness must have warned her of their shared blood link. Her shallow half-brother quite blithely turns his attentions to Vanessa instead and when they marry and head off for a new life in Paris, they leave Erika behind to become the new one to sit and await the return of her Anatole. Jan Bammes’s designs are effective in suggesting both the claustrophobia and the wintry isolation of the setting, and Volker Köster’s black and white film adds extra atmosphere as a way of indicating both the past and the off-stage shenanigans of the lovers. 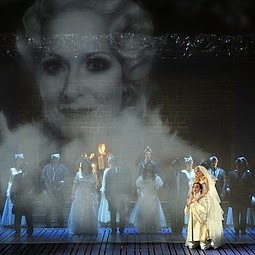 A handful of Anglophone singers helped with the communicativeness of Menotti’s text, with Australian soprano Katrina Sheppeard leading the cast in a dramatic but vocally subtle interpretation of the title role and US tenor Richard Furman combining ringing tone and perceptive characterisation as a particularly manipulative Anatole. The German mezzo Kristine Larissa Funkhauser as a fiery Erika and Finnish baritone Ilkka Vihavainen as the Doctor both proved just as adept in conveying the English libretto. Barber’s orchestral score is not an easy one to bring off, with its rhythmically fluid rhetorical passages alternating with surging Romanticism, but Florian Ludwig drew some superb playing from the Hagen Philharmonic, whose players literally spilled from the rather confined pit into boxes and side lobbies at floor level. What one brought away from the performance is Barber’s skilful combination of piquant harmonies with relatively straightforward melodic outlines, culminating in the deeply moving final quintet ‘To leave, to break, to find, to keep’ – exquisitely sung here – and one of those key operatic motifs that can remain an earworm for days afterwards. 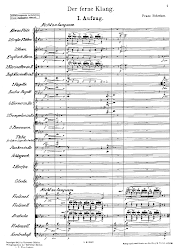 In repertoire until 28 May 2015. Theater Hagen. Watch a preview here.